Update: Our next Design Academy Intensive session will be hosted in Fall 2019. when enrollment is open, The course content is available on demand immediately after purchase, the interactive private Facebook group will open on a scheduled date. It's a great way to meet new people, learn in an exciting community, and go deeper with Cinnamon Miles. What you'll get access to in the Private Facebook Group: In addition to the terrific Design Academy content, during the "February Intensive" Cinnamon will share her personal insights related to each aspect of design! The Design Academy has been our signature course since 2010 and we've had over 1,000 students participate. You'll enjoy the content and the special set of Intensive related benefits too! What You Get In The Design Academy On-Demand Course: The Design Academy is our 12 part training program that gives you in-depth training on how to design high-quality clothing items specifically at the smaller doll scale. Cinnamon the lead designer for Liberty Jane Clothing, has spent years perfecting the art of doll clothes design, focusing on an intense level of detail, and considers every piece created - a piece of art! The 140-page course ebook covers the 12 principles of design, most are a part of every design concept (proportion, scale, fabric, color, sewing technique, originality); while a few are meant as an extra element to specific designs (distressing/embellishments, minimalism, homage, repetition). Each chapter in the book is accompanied by a video where Cinnamon, Karin, and Melinda share their thoughts on the topic and encourage you to practice the element discussed through a hands-on homework assignment. As a student, you receive access to all the videos immediately and you can learn at your own pace. Through 12 unique chapters, homework assignments, and teaching videos, you get a full introduction to the topic of doll clothes design. Cinnamon, Karin, and Melinda invite you into their studio to sit in on their discussion of each topic through a fun video series! Videos are available to stream or download for future viewing offline (link to the videos is found inside the Class Guide PDF). Students are also provided with a Liberty Jane croquis for sketching all those new design ideas! *Note - This is not a pattern drafting class, it focuses primarily on the design elements. We do walk you through the process of creating a design plan for a unique project outfit, which will then be used as the basis of the next class - Pattern Academy. About The Curriculum: The Design Academy Guidebook is the official course workbook. It’s packed with in-depth information, beautiful illustrations, and a personal introduction to the material by Cinnamon. When you enroll in the program you receive a complimentary PDF ebook version of the book which can be viewed on your computer or tablet. You will also receive a PDF Class Guide which includes a syllabus, a supply list, chapter outline and exercises to go along with each chapter. Cost: The program cost is $79 (with Ebook). Pixie Points: Be sure to create a customer account before purchasing which automatically enrolls you in our Pixie Perks program and you will receive Pixie Points on these purchases. Questions: We know you might have questions - we encourage you to read through the following FAQs and testimonials. Q: I'm interested in taking the Pattern Academy Class - Is this class a prerequisite? A: We feel that learning the skills involved in creating an effective design plan is key to pattern drafting /modification, but this course is not required to take the Pattern Academy. Q: Would this be appropriate for homeschool curriculum? A: This would be perfect as a special course for homeschoolers, however, it’s not accredited, or certified in any way. So we don’t know how it would work for ‘credit’ hours for your program. You’ll have to check on that. Q: Is this based in Seattle, or is it done online? A: It’s all completed online, so you can work in your jammies. Q: Can I sign-up, and get the chapters, but work at my own pace? Q: Is this about creating patterns? A: Nope, it’s about creating effective designs and will focus on the details of design, creating a cohesive/signature style for your brand image, understanding how colors and fabrics work together, and more. Q: Do I need any additional software or special computer skills? A: Nope. Just access to a computer and a good wifi connection. The videos will be hosted on the Vimeo platform and available for streaming or download. Q: Do I have to be a good seamstress? A: Nope, but you do need to be at least a beginner. Basic sewing skills are recommended, but the best part of the community environment is that we can all learn from each other. So if you need help, or are struggling with a certain sewing technique, there will be lots of people there to help you! A. Immediately following your purchase you will be provided with download links to both the ebook and class guide - start the course right away! So, make sure you monitor the email account you use associated with your Pixie Faire account. "I just wanted to let you know how much I enjoyed the Academy this month. I learned a LOT, and have decided to continue to pursue the ideas I have for a business, thanks to you and all I learned." Deana G.
"The Design Academy has been a fantastic experience. Thank you so much for organizing such an inspiring event. There are some very talented people around. I have learned an enormous amount. Everyone has been very willing to share. I would really like to enroll in the Design Academy next time you offer the class." 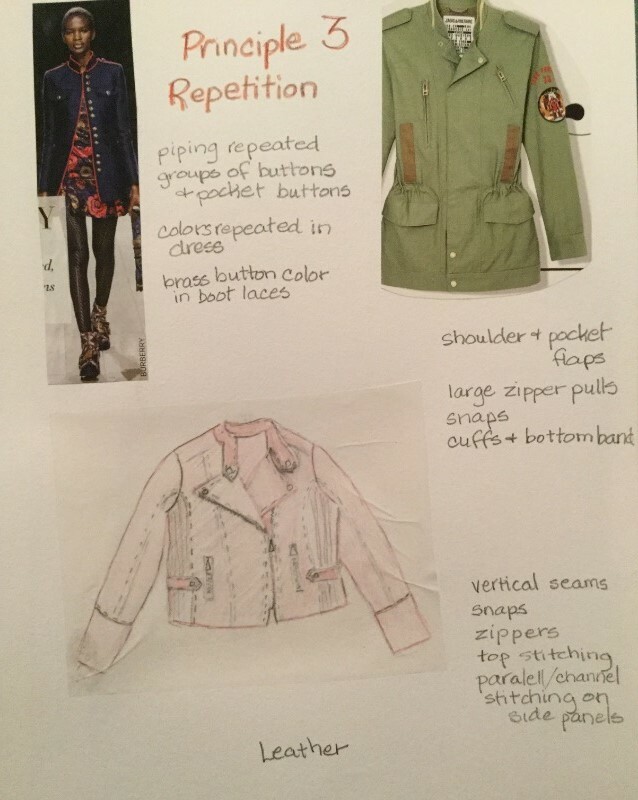 Rhonda F.
"I enjoyed the class immensely and this is my finished design making my own pattern [pattern included]... Loved the class." Gloria M.
"I loved this course, but I feel that you should know that I had a fantastic time with this amazing program. I loved the community and the assignments, and I learned so much in just a month. My sewing has improved greatly, and I now know how to size fabrics correctly to the doll. I've also learned how to use a sloper! :) Thank you so much for such an amazing experience, I want to sign up again, ha! Jasmine L.
Cinnamon, thanks once again for this amazing experience! 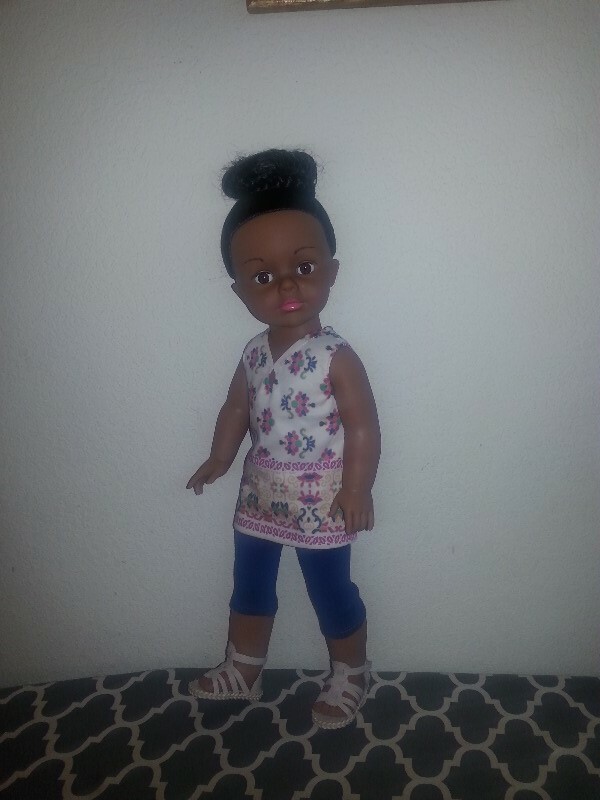 I have gotten excited about sewing again and hope for a future business in doll fashion. I have so many pictures in my idea folder to try. When I go to the stores I no longer look for clothing for myself. I get excited about what I can buy for my "girls"! I am hooked. Please let me know when your next academy will be and I will be first in line. Thanks again with love! Lori B.
I already had owned Cinnamon's book that we are using (before the updates), so I had a rough idea of what this class was going to teach. I was very pleasantly surprised to see once it got started, that it would bring me back to the 'sewing classroom' where I got to be a part of that community again, who were all trying to sew for an 18" person. I am not a quilter, but if I was, quilting groups in the area would provide that sort of camaraderie that this class provides. Donna B.
I really liked participating in the Design Academy. The different layers made me think more about choices in fabric, embellishment, proportions, and focal points. 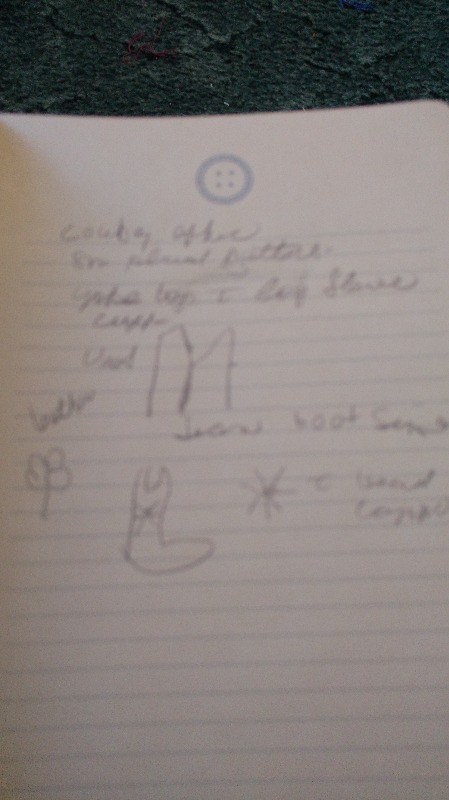 I also learned to look at real-life clothes as inspiration. Now when I go to a store, I find myself looking at the clothes more closely and seeing if I can envision it for an AG doll outfit. I would also take pictures of the outfit combinations on mannequins in the store. I must look strange to others in the store LOL! Rebecca C.
The Design Academy has been a fantastic way for me to update and revise my skills. I love sewing but to be perfectly honest since I gave up making my own clothes, my skills have deteriorated. Use it or lose it as they say. There are many things I have forgotten or maybe never knew. It has been great to be inspired by so many talented, friendly people from all over the world. Rhondda F.
I am so happy with this course! It has answered so many questions for me and given me a 'plan of action'. Micki S.
Even though I have sewn for years...there is always something new to learn or to improve on... I have had so much fun with this class and learned so much from everybody! THANK YOU FOR THE OPPORTUNITY! Julie S.
This course has been so much fun, and so beneficial to me! I can't wait to get back to sewing for my shop and use everything I've learned. MaryAnn D.
Thank you Cinnamon, Karin, and Melinda. You have been so supportive and encouraging with this class. I have been truly inspired and will look at all aspects of my designs with a more critical and educated eye. Thank you also to my "classmates" this has been an amazing month and all of you have inspired me to do better. To the Liberty Jane Design Academy: "We like you we really do like you!" ~ inspired by Academy Award winner Sally Fields. When does the Design Pattern Academy begin????? Mary M.
Thank you for all I have learned and for the opportunity to be a part of this very special group of talented women. Best wishes, Colleen S.
This class has been even better than I expected and I expected a lot. I have been a Liberty Jane Partner for a while not, but not very active. I will be far more active this coming year. Thank all of you for making this last month such a wonderful experience. Carol K.
I am currently following the class and have already learned so much. Not only about doll clothing but also a lot about my own wardrobe. Thank you for offering this course! I have really enjoyed this course and learned to look for details that matter in design. I am more confident about my work and results after taking this class. the pacing is great and I like being able to finish projects at my own speed. The course materials were very well organized and the videos were quite helpful. The course seemed to lose momentum towards the end and there were several days there were no posts by the moderator on Facebook. I was surprised that there wasn't more input by those taking the course, however the moderator did try to encourage more participation. I would recommend this course to others. So much fun and very informative! I loved this course. I have very little talent in the way of sketching but that is not an issue at all. I have learned so much from this course as far as what makes a good design. I love to sketch now and see so many designs in the world around me now. I highly recommend this course.